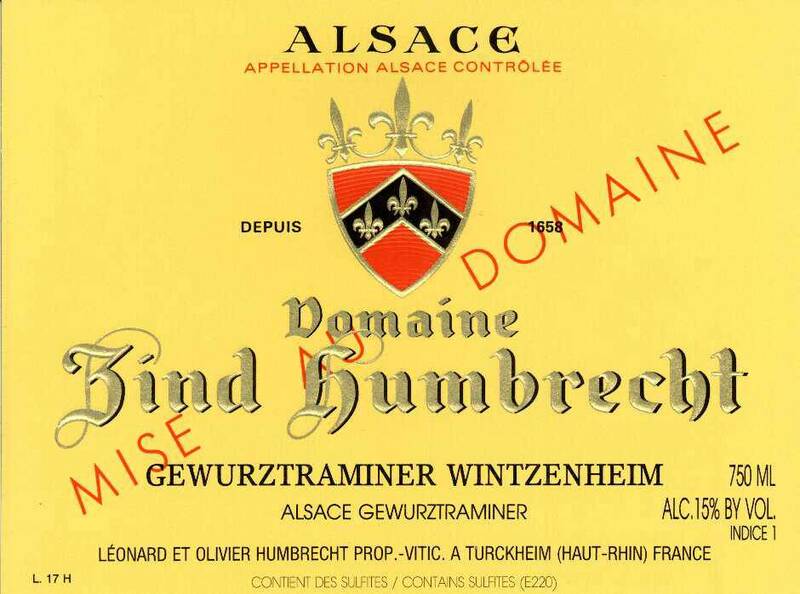 Next to the village of Wintzenheim, my grand father planted in 1953 a large parcel with Gewürztraminer and Pinot Gris (the one used for the Vieilles Vignes bottling). These 1.6 ha of gravely soil are blended with the younger vines in the Hengst (marl-limestone) and sold under the village name. This combination allows that the aromatic softer valley floor wine can be balanced with some leaner, spicy better structured hillside wine. Both vineyard are harvested together and ferment in the same cask. There is a significant proportion of botrytis and the fermentation was quite quick (less than a month), leaving little sweetness. 1/2008: the colour indicates the presence of botrytis and that the ripeness was high. The nose is a blend of classic floral aromas mixed with a lot of spices and toasted flavours. Of course, the palate is quite bold, but the fact that there is little sweetness leaves the finish very clean and sharp. This is the perfect type of Gewurztraminer to pair with Asian cuisine and fusion recipes.